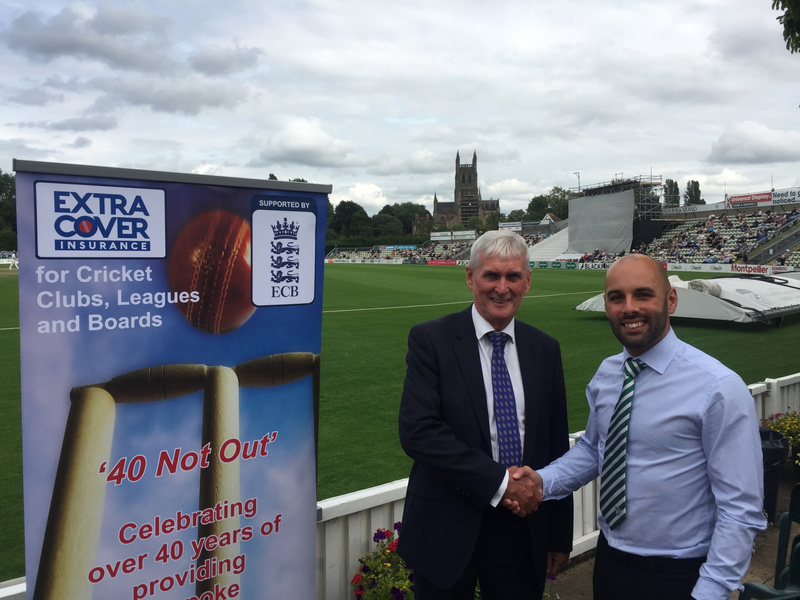 The Worcestershire Cricket Board has an agreement with the countries leading provider of cricket club insurance, ExtraCover Insurance, which is supported by the ECB, to provide every club affiliated to us, access to professional advice on how to insure their cricket club in the most effective way. The ExtraCover Insurance scheme, run by Yorkshire based Insurance Brokerage Marshall Wooldridge, has been in operation for over 40 years, has the widest policy wording of any dedicated cricket club scheme and has dedicated staff on hand all year round to help you and your club colleagues with quotes, claims and all other enquiries. The key elements to ExtraCover Insurance are listed as follows, together with a brief description of what this means to you, your members and players and your cricket club. Your club will be insured if any third party brings a claim against you for bodily injury or property damage anywhere within the UK occurring during the period of insurance. Core cover includes Member to Member Liability, official social functions, a members bonfire and firework displays and other events hosted for the benefit of the club. Public Liability cover goes beyond that required for the ECB guidelines for ClubMark accreditation and is fully compliant with the ECB’s All Stars programme. Minimum Limit of Indemnity £5m. Required for Bar Staff, Cleaners & Ground staff irrespective of whether they are being paid or not. This cover also extends to protect Voluntary Helpers. Protects the people who run your cricket club against claims for any breach of duty. Limits of indemnity from £100k to £1m. Provides 24 hour commercial legal advice, and offers access to a solicitor to defend your club. Limit of Indemnity is £100k. Insures your buildings, outbuildings, score-boxes, whatever the construction, machinery and general contents subject to a £350 policy excess. Subsidence cover is available by request. Protects all club members in respect of accidental bodily injury whilst partaking in cricket matches, practice, coaching sessions, club maintenance & preparation of the pitch and grounds. Gold cover pays out up to £250 per week per claim without financial or date related excess. Covers individual items providing comprehensive cover for everything from Club Bags, Cups & Trophies to Non-Turf Pitches and Marine Cargo Containers subject to a £100 policy excess. If your cricket club is already insured with ExtraCover Insurance, we recommend you call them at least once a year to review the existing cover you have to ensure you have an appropriate level of cover, as well as to check that any investments you’ve made in facilities are covered under your policy. For clubs not insured with ExtraCover Insurance, it’s easy to get a quote. All you need to do in the first instance is email a copy of your existing insurance schedule to extracover@marswool.com and ask them to come back to you with a like for like quotation. For all enquiries call free on 0800 289301 or email the team at extracover@marswool.com with details of your club and the nature of your enquiry. Follow ExtraCover Insurance on Facebook and Twitter to keep up to date with all the latest information you need to know to keep your cricket club and all your members protected.